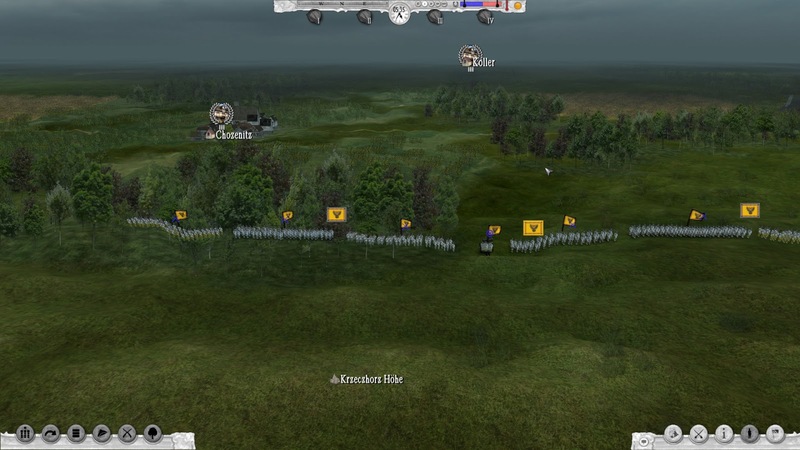 Once again we find ourselves trudging through the snowy landscape with Prussian grenadiers. Old Fritz is in front, in his old clothes, with a few days of meals spattered on them. This game is absolutely amazing in that is a one man labor of love. The fact that one person coded this whole game is almost unbelievable, and he should be given kudos just for this. 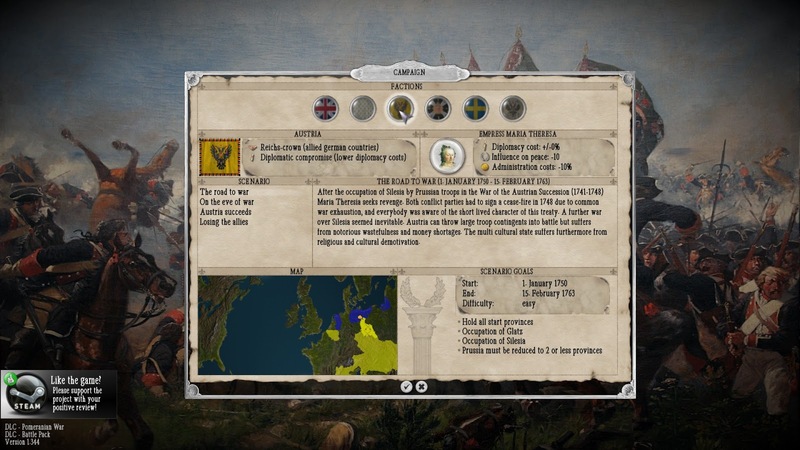 The game tries to do one better on a 'Total War' game by being historically accurate. Most games this ambitious have a multitude of programmers working on them, whilst little old Keppelmueller toils on alone. Let us see if the game is a stupendous victory or a stunning defeat. Just like the aforementioned series, this is a strategic and a tactical game. 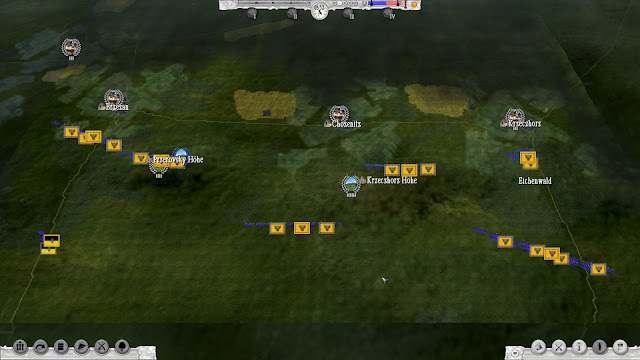 I was going to say wargame, but it is much more than that. It has wargame elements for sure, but it also has country building. It is almost as if the 'Europa Universalis' series and a 'Total War' game had an offspring. 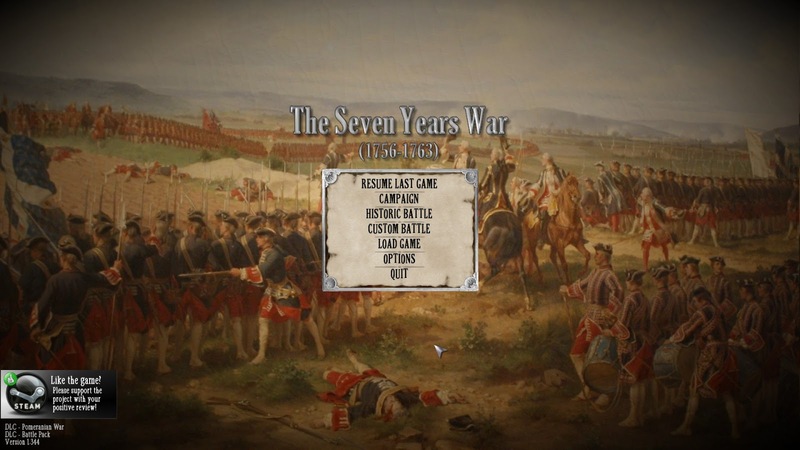 The games is much more to the simulation side than just a game of the Seven Years war. The following pics are form the start of the battle of Kolin from the Austrian side. The victor in battle is not just decided by casualties inflicted or taken, but also relies on victory points on the map. You either have to keep control of or capture them. You can see that North America is not only represented in the choice of battles, but also plays a large part in the campaign games, especially if you are playing England or France. Just as in other games like this, I tend to play the historical battles, and they are a game in themselves. I am not really a big fan of sandbox wars or battles, to me it usually leads to too many non-historical things happening. Of course to the sandbox aficionado, this is meat and potatoes. So the game has parts that will suit you, whatever your appetite. In the 1750 campaign you are free to try and use any political or military strategy you can dream up before war breaks out. Prussia's need for Silesia and Austria's burning desire to have it returned will cause war to break out at sometime. Then when you add in the colonial policies of England and France you will see the world sitting on a tinderbox in the 1750s. The game as a whole is a diamond in the rough. It is uncanny that it is the work of one man, but it still could use some polish on the UI, for example. Mr. Keppelmuller has been continually working on his opus for a while now. I see no reason not to purchase the game with its DLC and be awed by its continued development. 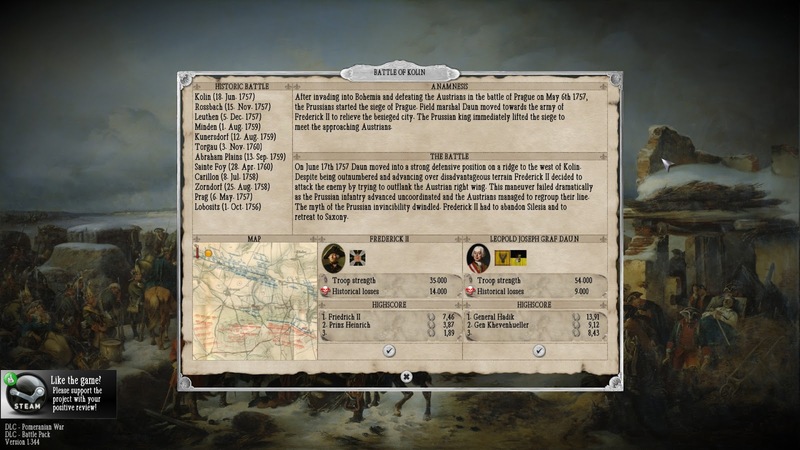 Of course, he is working on a sequel of the War of the Austrian Succession (hint, hint, nudge, nudge).